George Bosnas was born in Thessaloniki, Greece in 1985. He studied furniture design and material technologies in the University of Thessalia, Greece and obtained his degree with distinction and excellence in 2008. He continued his studies in Scuola Politecnica SPD, Milan with a master course in industrial design in 2010. After his returning to his homeland, he started his working career in the production section. Ever since,he has been collaborating with European agencies. His work focuses on furniture and industrial design. Working for international brands and cooperating with other designers and small startups has been the core of his up until now working career. Inspired by graphic design, geometry and colors he expresses his own contemporary style. In 2014, he became a professor in Akto College, teaching industrial design courses. 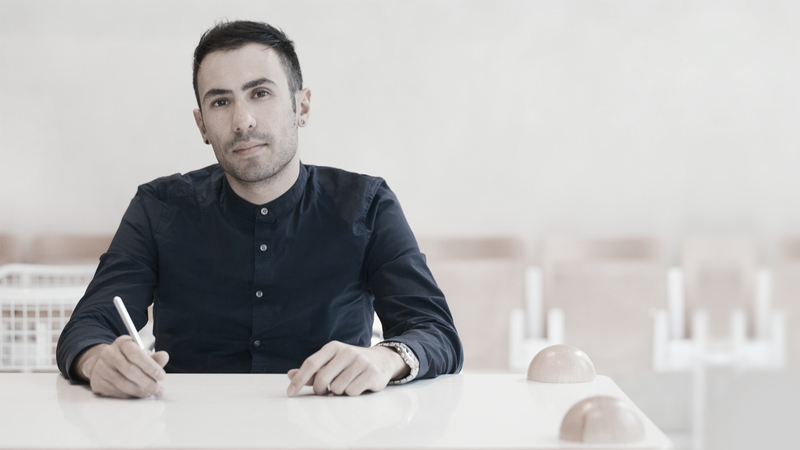 His work has been featured in design magazines, blogs and he has participated in some of the most important exhibitions such as ‘’100%DesignLondon’’, ‘’Salone Del Mobile’’ and ‘’Maison&Object’’. In 2017 he won the Grand Prix Hirosaki Award and has set his personal future goals even higher.